How many times have you looked at your cat and thought to yourself “hmm, those three spots kinda look like the three Stooges”? 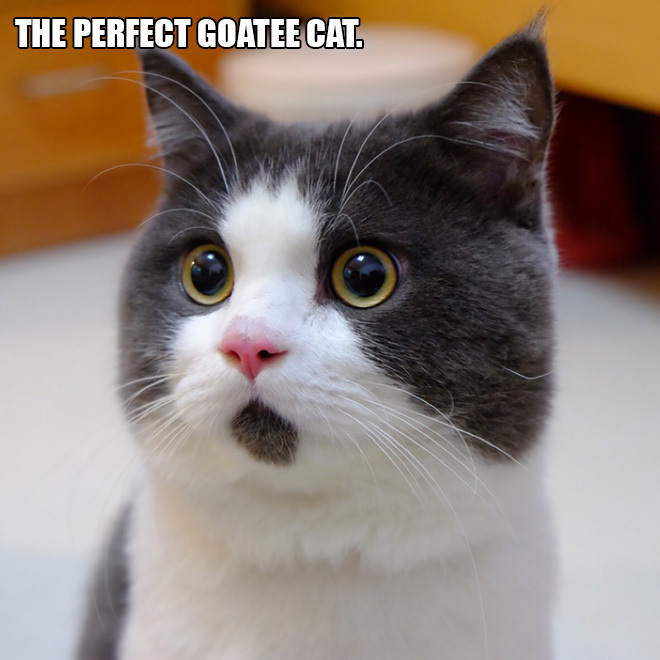 Probably none, but that doesn’t mean that such a cat isn’t out there somewhere. You just have to pay attention, and also adopt a few kittens. 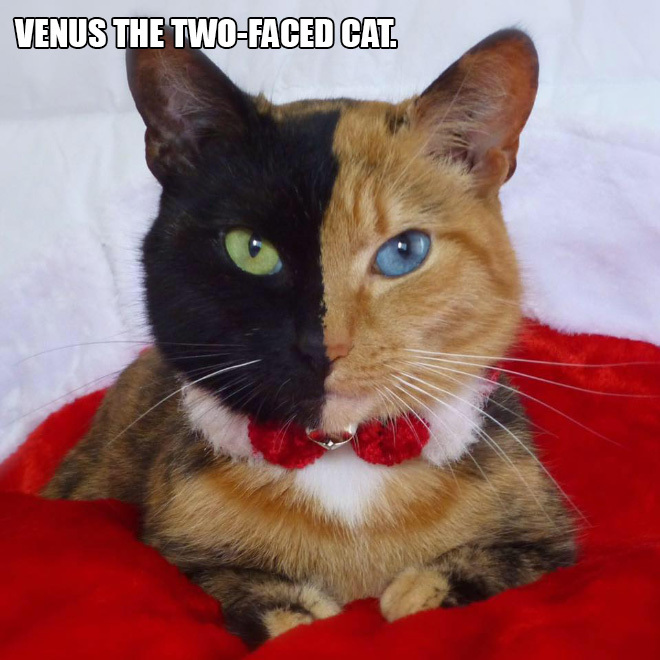 Anyway, what I’m saying is, that nature can be really self-referential at times, and these adorable cats are a proof of that! 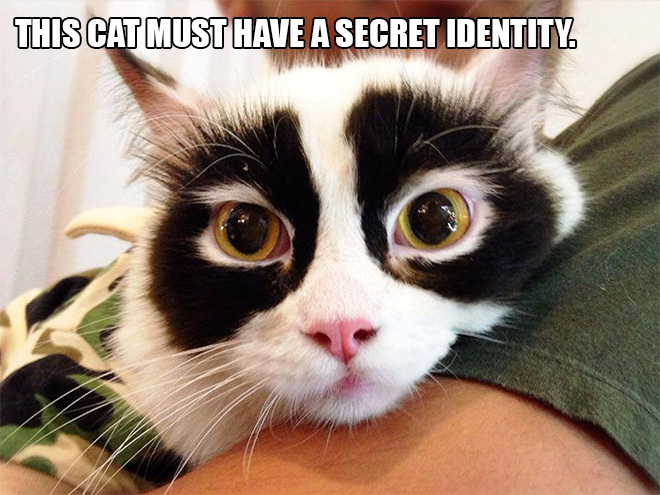 Seriously, how come a cat is born with cat ears… on its actual cat ears? 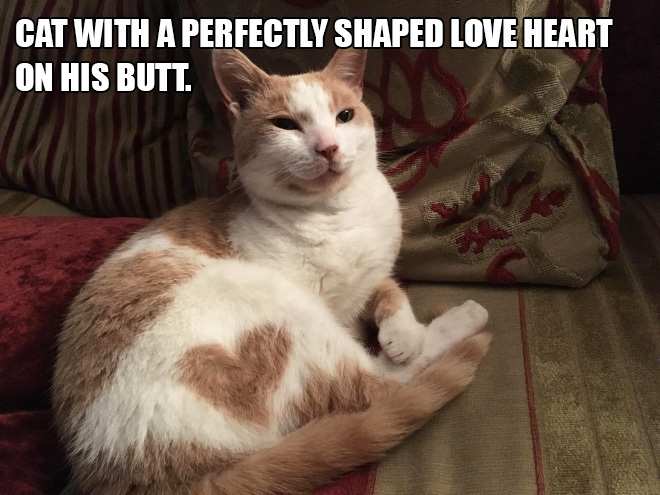 Amazing Internet material right there, because we all love cats, even those liars who say they prefer dogs. 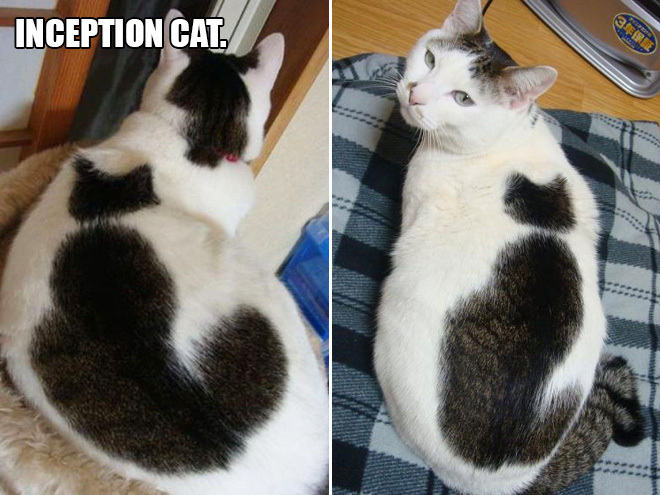 13 Internet cats with cool unique markings, coming right up! 1. 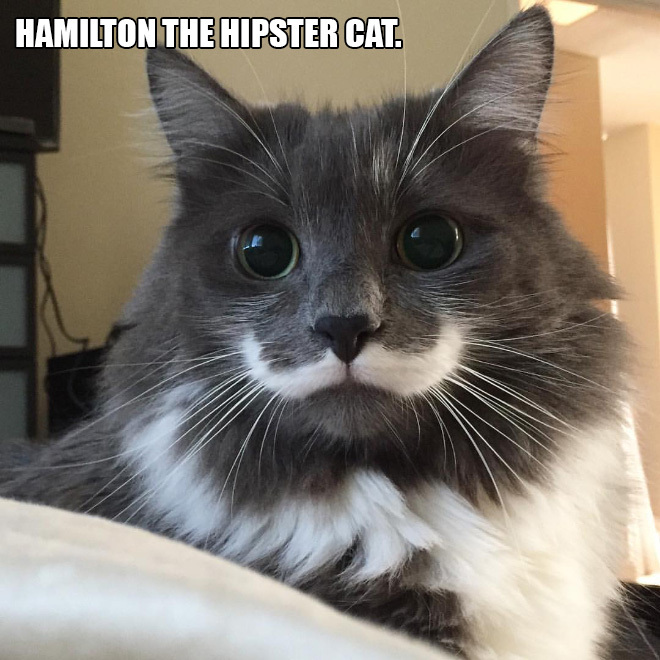 Hamilton – the hipster cat! He’s definitely rocking that ‘stash like a sir. 2. 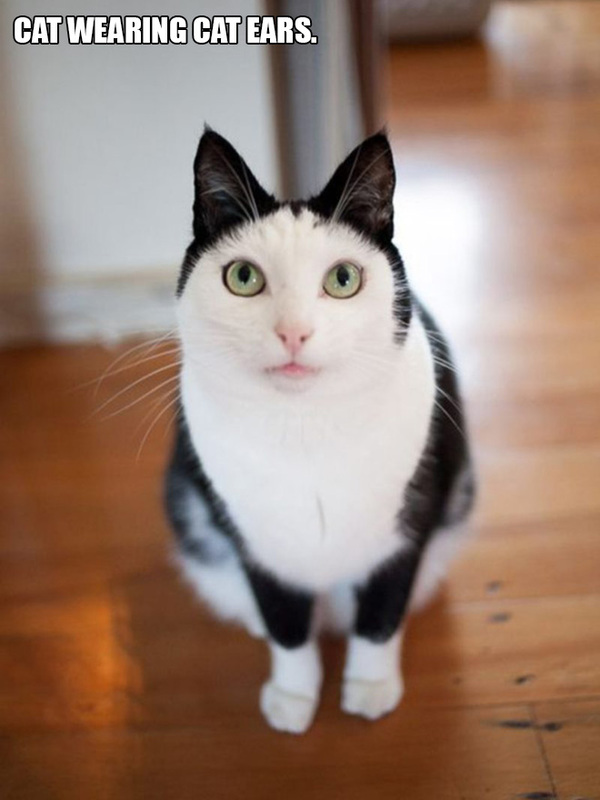 Cat with cat ears on its ears? Has the science gone too far? 3. 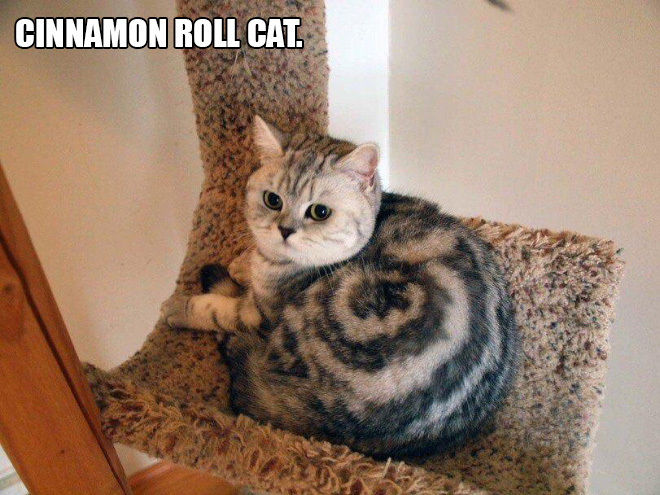 Fluffy and delicious cinnamon cat roll! 4. 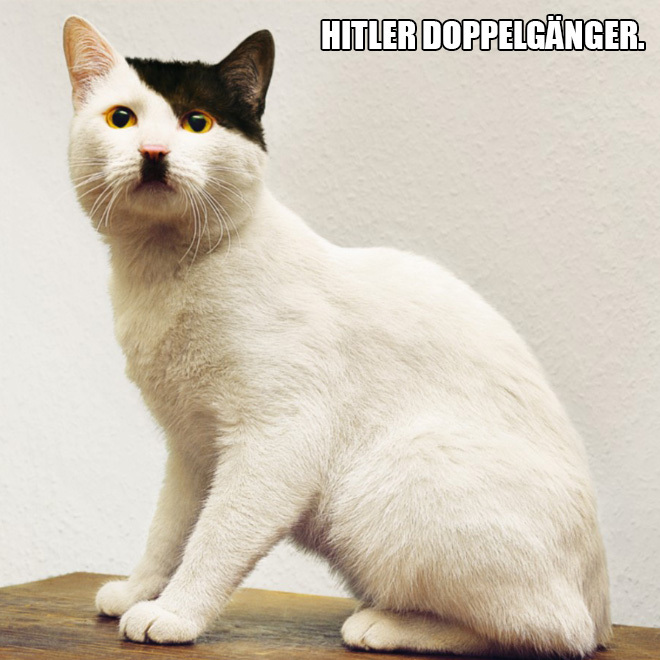 I know for sure that Kitler kitty did nothing wrong… well, maybe that one time. 5. It’s a cat’s back on a cat’s back! 6. I wonder if she knows how to flip a coin… or hold a gun. 7. 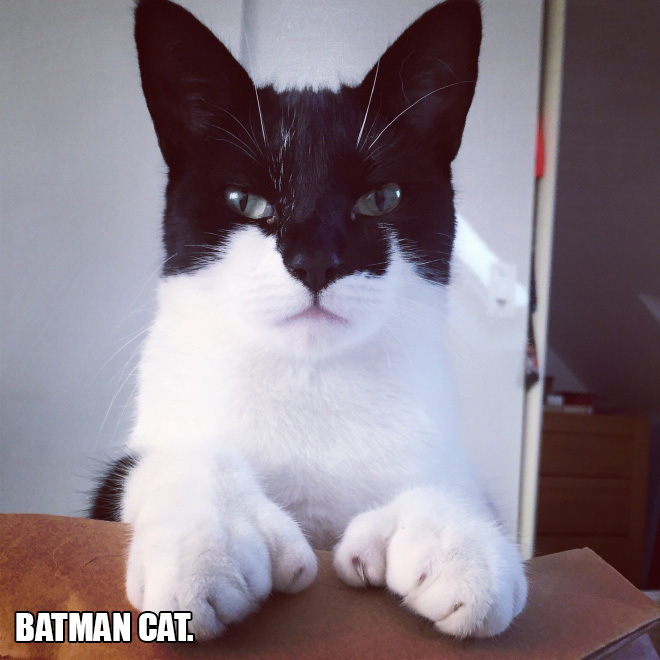 Catman (Batcat?) is not the hero we deserve, but the hero we need. 9. 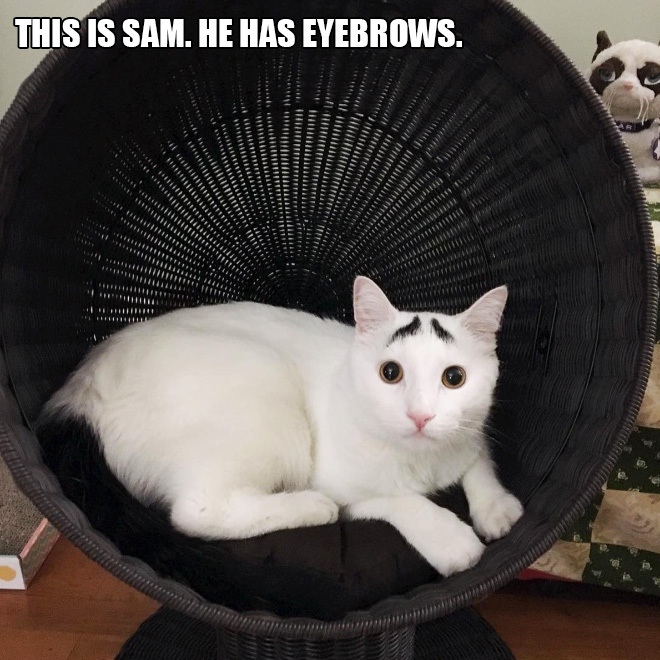 He’s always surprised that other cats don’t have eyebrows. 11. It really is perfect. 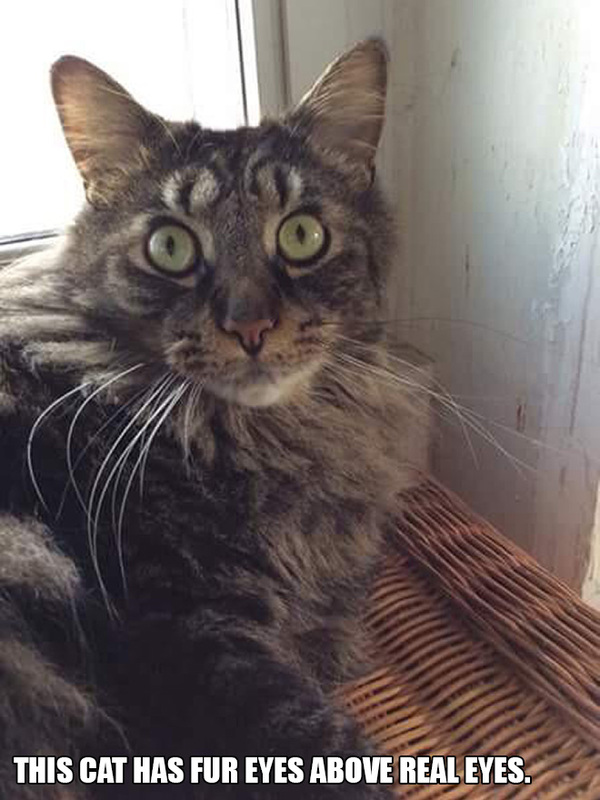 It also makes him look shocked all the time. 12. Nah, that’s a mutant raccoon!